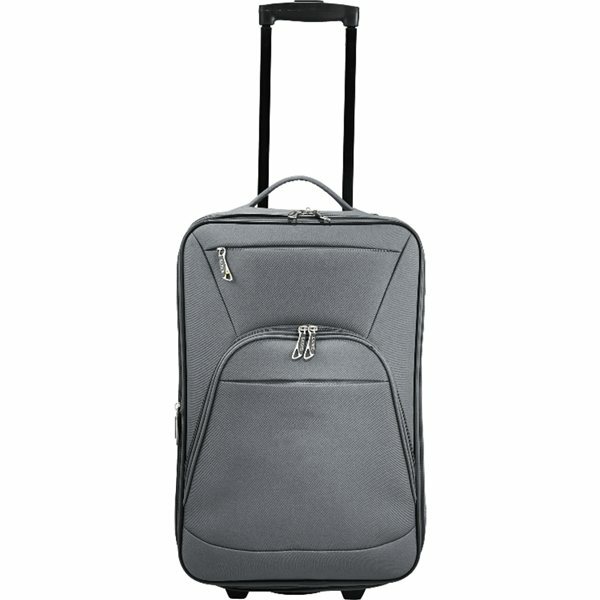 This 21" carry-on luggage has an expandable main compartment and a push-button retractable handle that locks in two different heights. Interior straps and zippered compartment hold everything in place and the lightweight design make it easy to get around. Includes luggage ID on back panel as well as a zippered pocket for easy stashing of your tickets or other travel documents. Perfect size for travel and meets most major airline carry-on requirements. Includes Luxe signature lining and hardware. I was extremely pleased with the outcome of our printing. this is my third order from AnyPromo. The service is great and their products are the best!!! Exactly as advertised. No complaints! I loved the way the imprinted logo was done. Our employees loved the disc holder! Veronica! She was so patient and understanding with me. We were skeptical about ordering products due to an unfortunate previous experience (from another vendor). very pleasant product, really professional looking and made of quality materials.